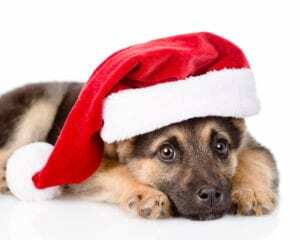 Festive food that your dog can safely eat isn’t as difficult to find as you imagine. Lean turkey – the fat and skin removed and without salt or spices – is a key ingredient in many dog food diets. It is a highly digestible protein source for dogs which is great for dogs with sensitive tummies or allergies to beef or chicken. It helps dogs build muscle. Pumpkin, when served appropriately, is fantastic for the canine digestive system. Veterinarians often recommend it as a way to either ease constipation or help firm up their stool. However, stick with simple roasted pumpkin or canned pumpkin. Cranberries may help support urinary tract health. Plus, they contain lots of healthy antioxidants. But because raw cranberries may be tough for dogs to digest restrict your dog to small amounts of cranberry sauce. Because it can be high in sugar, make sure that you serve only a small amount, and be sure that it doesn’t contain the artificial sweetener xylitol, which is very dangerous for dogs. Served without the usual salt, seasonings and butter, green beans are great for dogs. They are a low-calorie snack that is high in iron and several other vitamins and minerals that dogs need. 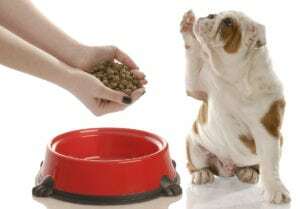 Their high-fibre content also helps fill your dog’s belly belly which can help keep their weight under control. 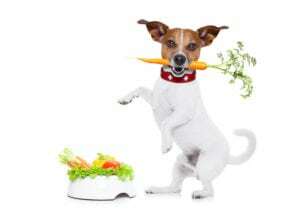 Often found in commercially available dog food, carrots are a great source of vitamin A and fibre. Boil or steam them and keep them plain. They’re a good source of B vitamins, vitamin A and fibre. Steam, mash, bake, boil and serve in cubes. Many dogs love the sweet, tart crunch of apples. They’ve got plenty of fibre and antioxidants to make them a healthy treat when given in moderation. But cut into appropriately-sized pieces.